I’ve never understood the desire to slow-roast marshmallows. Those people who turn their marshmallows methodically at a safe distance from the flames are enigmas to me. Where is the urgency? While you dally near danger in the hopes of getting a perfect toast, I’ve eaten four s’mores. Marshmallows are meant to be plunged into the heart of a fire. They should burst into flames immediately and when flaming, instead of cries of dismay, one should proudly hold them aloft and only blow them out when one’s fiery mallow is in imminent peril of falling off the stick. Although, for the record, any kid who has experienced summer and the glories of a marshmallow roast will tell you that the marshmallow lost to the flames is still awesome and one marshmallow should probably be sacrificed for this purpose anyway. Kinda of like pouring out a little of your beer for your homies, it’s good karma. 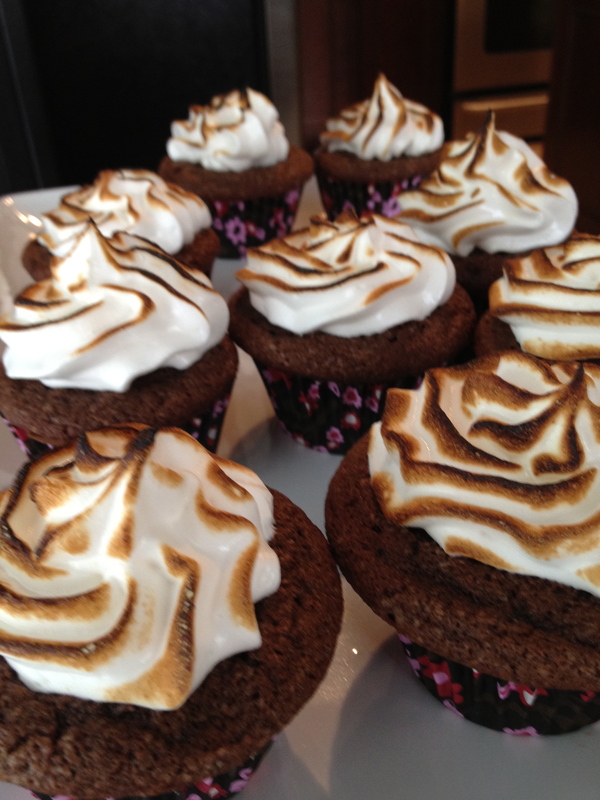 But I’m getting carried away with marshmallow cookery when this post is actually about s’more cupcakes. 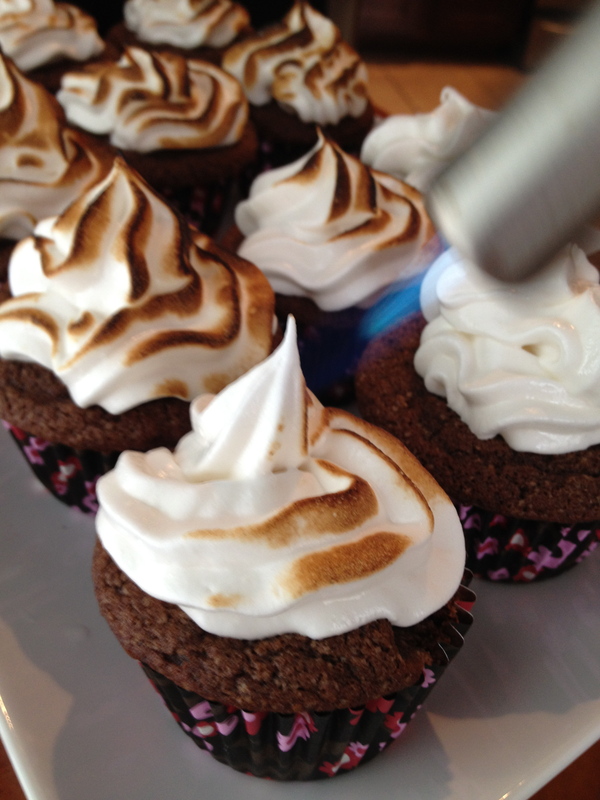 This recipe combines the best qualities of s’mores and cupcakes to get a whimsical dessert. A graham cracker crust, a moist chocolate filling, and an egg white and sugar frosting that mimics the flavor of marshmallows, makes for a delicious cupcake. It’s the light charring of the frosting with a culinary torch however that truly gilds the lily and will elicit high praise from your guests. 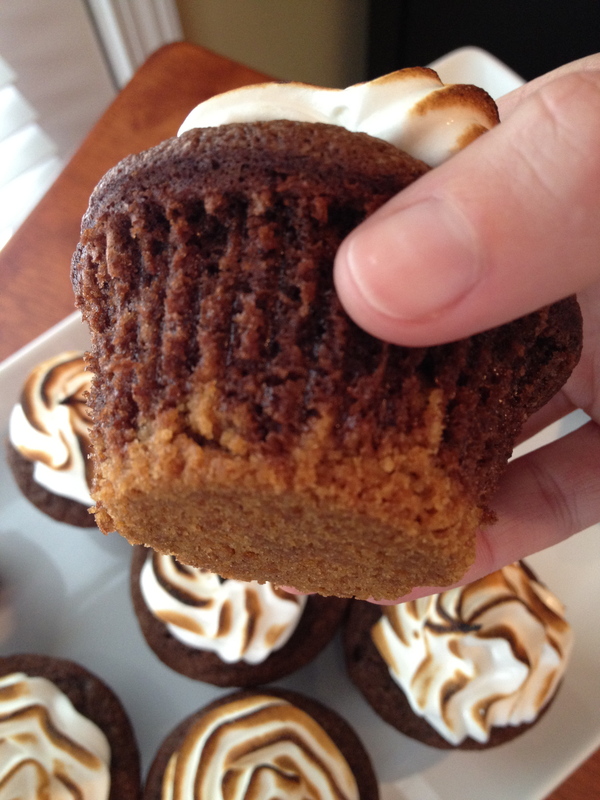 Make the chocolate cupcakes with their graham cracker crust ahead of time, but I recommend holding off on making the frosting and giving the cupcakes their torching until right before serving. While still edible and delicious, the frosting gets a bit sticky and loses a bit of its fluff the longer it sits. Humidity, if you were wondering, does not help your cause. Don’t have a culinary torch? No worries. 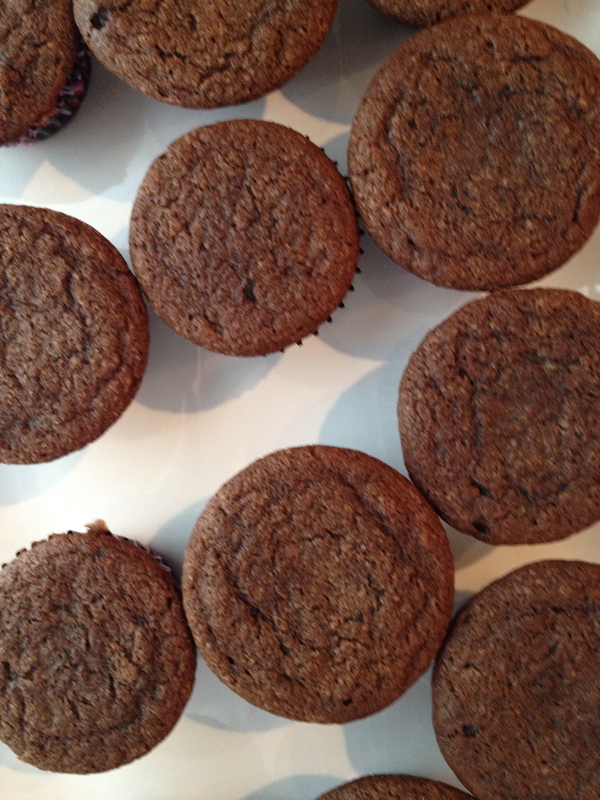 You can stick the frosted cupcakes under your oven’s broiler to get a nice toast. My only words of advice. WATCH them carefully and TURN often. Fiery mallows in one’s oven illicit a very different excitement than those burning under a starry sky. 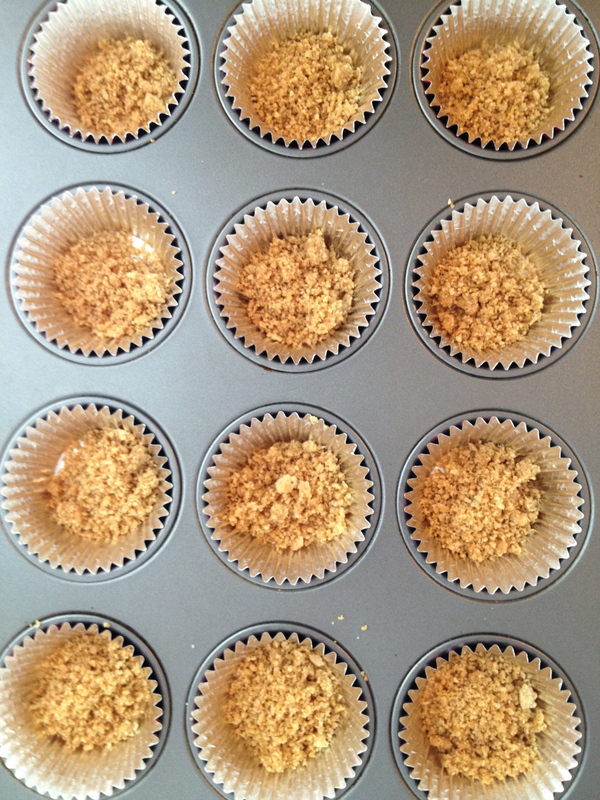 Preheat the oven to 350 degrees and line 12 muffin tins with liners. 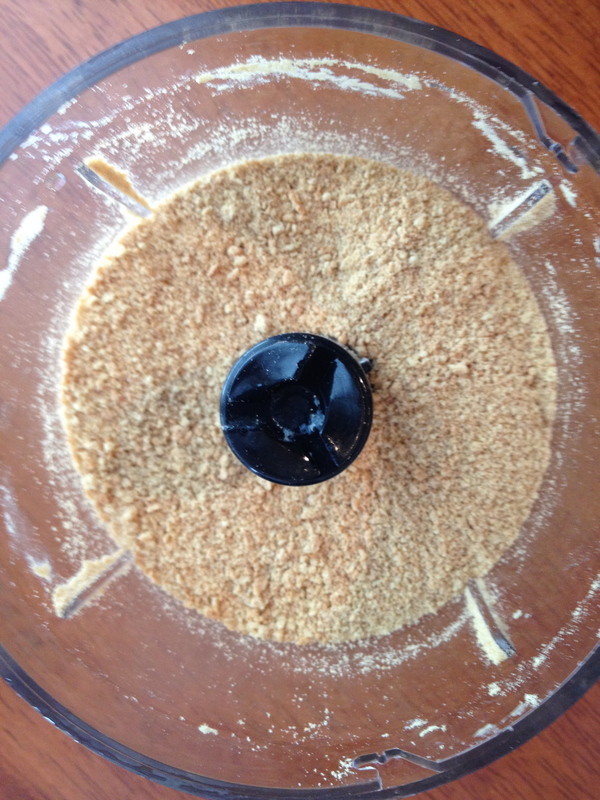 Stir together the graham cracker crumbs and melted butter in a small bowl until combined. Divide the graham cracker mixture between the cupcake liners, about 1 tablespoon graham cracker mixture for each cupcake. Press the mixture down with your fingers to make a crust at the bottom of each liner. Melt the chocolate in a double boiler over medium heat, stirring constantly. In a large bowl, beat the 4 tablespoons butter and the granulated sugar with an electric mixer until light and fluffy. Add the egg and beat until combined. Add the melted chocolate and beat until combined. In a medium bowl, whisk together the flour, baking soda, baking powder, and salt. Add the flour mixture to the chocolate mixture alternating with the buttermilk, beginning and ending with the flour mixture. Once all the flour and buttermilk has been added, stir in the water and vanilla extract and beat until combined. Divide the batter between the muffin tins and bake for 18-20 minutes or until a skewer comes out clean. Remove from the oven. Let the cupcakes cool for 5 minutes in the pan and then remove the cupcakes and allow them to finish cooling on a wire rack. To make the frosting, combine the egg whites, sugar, cream of tartar, and vanilla extract in a metal bowl and place over a pot of simmering water. 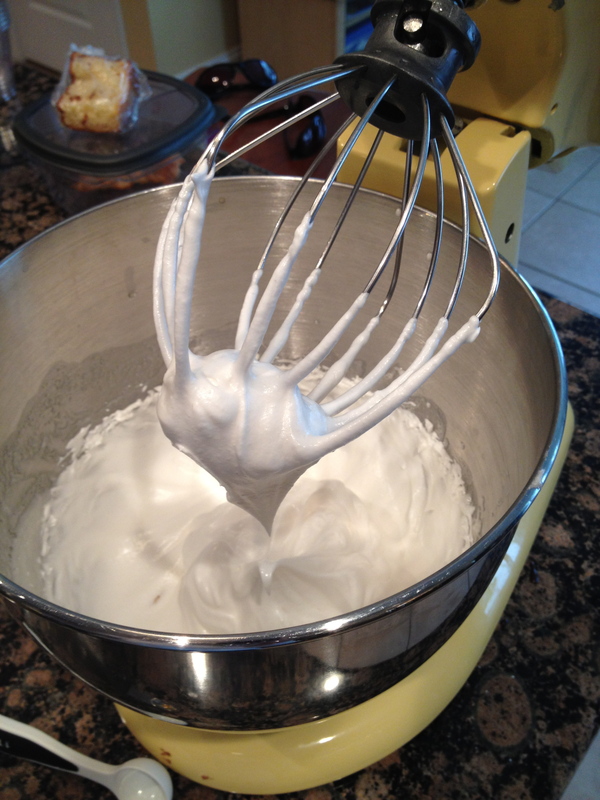 Whisk constantly until the egg white mixture reaches 165 degrees. Remove the metal bowl from the heat and beat with an electric mixer until the frosting can hold a peak and has a glossy sheen. Pipe the frosting onto the cupcakes. 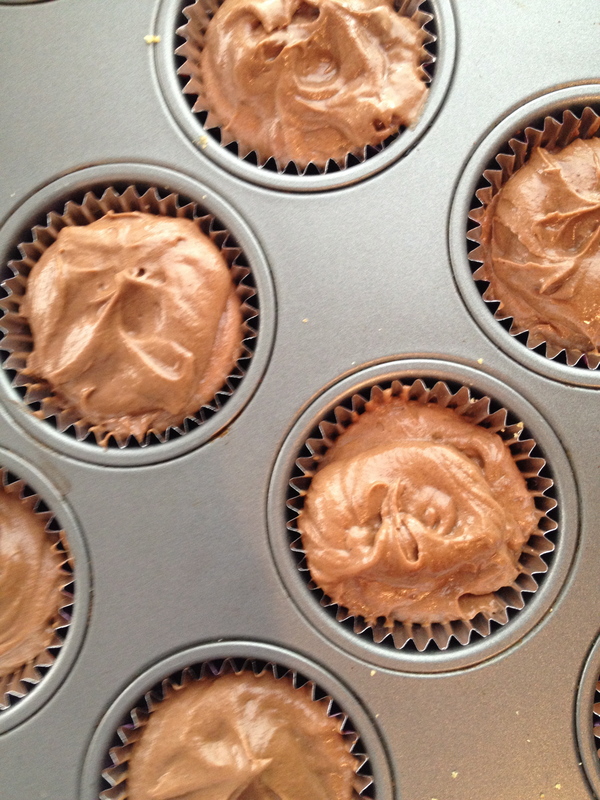 Use a handheld culinary torch to brown the frosting. Serve. Amazing recipe with hilarious commentary. Love, love, love!